It’s been quiet of late at Resin Car Works. With vacations, trips to see family, attendance at RPM’s, and some minor surgery, there hasn’t been much time for trains. The Minions have been working on the release of several new kits and goodies. Coming soon will be a mini-kit to convert an InterMountain 10’-6” AAR boxcar into a SOO/DSS&A square corner post boxcar. The mini-kit will be a full kit that will include the InterMountain model, a replacement Red Caboose roof, Tichy AB brake set, resin ends and detail parts, and Soo Line decals printed by Microscale to letter the cars “as-built” plus later repaints with the large block SOO LINE. The DSS&A version will contain decals to letter the cars “as-built”, or with one of several repaint lettering variations, as well as the correct True Line Train Klasing hand brake. There will be very limited numbers of this kit due to the availability of the IM boxcar kit and the TLT Klasing hand brake. A bare-bones version will also be offered that includes just the resin parts and decals with the modeler supplying everything else. 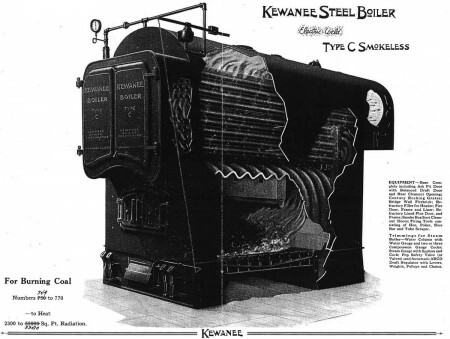 The next new item will be a flat car load based on a Kewanee stationary boiler. Several Kewanee boilers headed to new installations. The kit will provide two boilers and etched brass bands to be used as tie down straps. The boiler is an item I’ve been trying to figure out how to model for years, but couldn’t. 3D modeling solved that problem. Next up in our queue is a re-issuance of the Union Tank Car Line 10,000 gallon X-3 tank car. This is a rework of my patterns from the Sunshine Models kit to provide for an easier to construct model. The frame is a one piece casting with most of the details included. The re-issued kit with include resin tank, frame and detail parts, brass handrail stanchions and air hoses, photo-etched tank bands and stirrup steps, and decals from Ted Culotta. For the RPM Chicagoland show (the new name for the Naperville RPM) we’ve been working on a shake-n-take kit that has wide appeal. 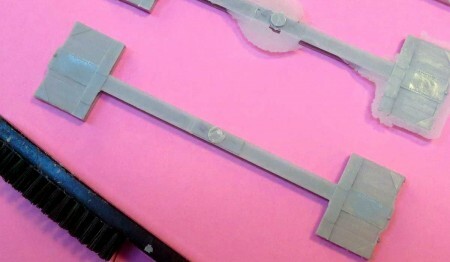 Components for this special kit are being developed and we don’t want to spill the beans yet. In addition to those tantalizing prospects, we’re working on a Missouri Pacific 50-foot express box, a Soo Line 50-foot automobile box car, a modernized SFRD reefer, and several new tank car kits, including one from the Pennsylvania Tank Car Company. 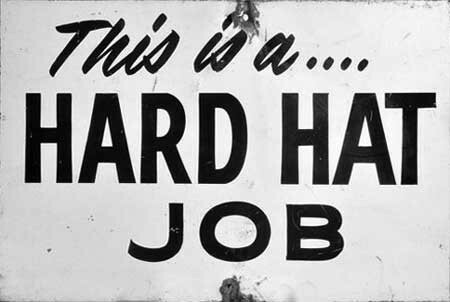 We hope your resin kit building appetite has been whetted but we ask for your patience as the various components will all take time. Thanks for your efforts in bringing these models to market. Lots of Good Things Coming. I do have a question, as I recently got back into modeling, what is Shake-n-Take? Is the kit availble at the RPM or part of a clinic? I still have 12 Sunshine X-3 kits to build. Now they will be obsolete. Will X-3s of varying gallonages be released? Will the X-3s be released with tanks of varying gallonages? Sounds like some interesting stuff coming. 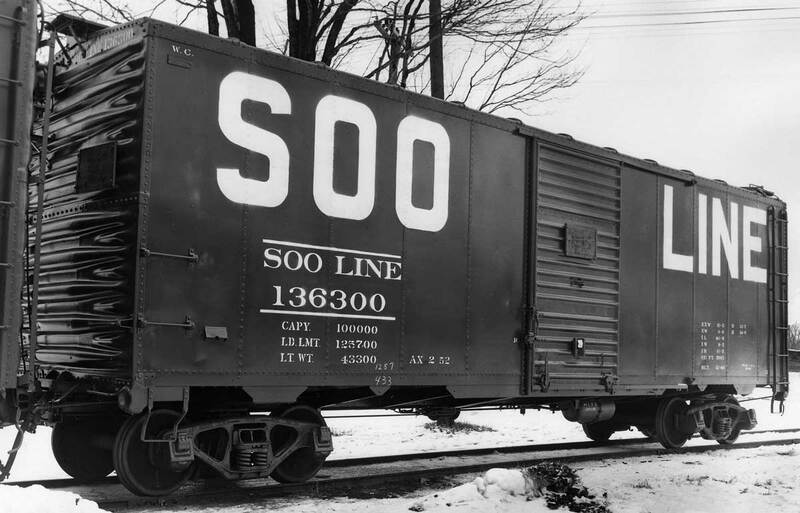 Please let me know about the Soo Line boxcar. New tank cars? Any chance you might someday do a 10K high-walkway AC&F, maybe a Type 7. I can supply you with general dimensions and some photos of these as they were used on the WP. Glad you’ve taken some time out for some of the important things in life (besides model RRing, of course). The line up of new products does sound exciting – thanks for your hard and innovative work.